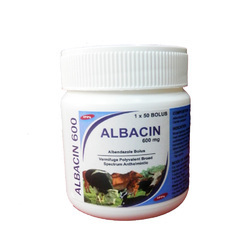 Offering you a complete choice of products which include albendazole bolus 2500, multivitamin bolus, albendazole bolus 600 and albendazole bolus 300. 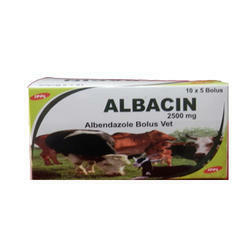 7.5 mg albendazole per kg of body weight. Adult Cattle : 1 bolus for 330 kg of body weight. 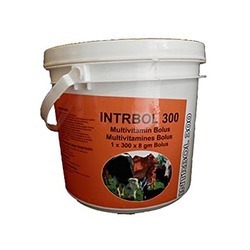 Adult Sheep & Goat : 1/4 bolus for 80 kg of body weight. 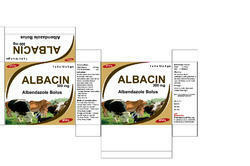 The Multivitamin Bolus is indicated in young animals in the phase of more rapid growth, in animals with high productive results, in the course of gravidity and lactation, to reduce the stress and as a supportive therapy in various fattening, infectious and parasitic diseases. 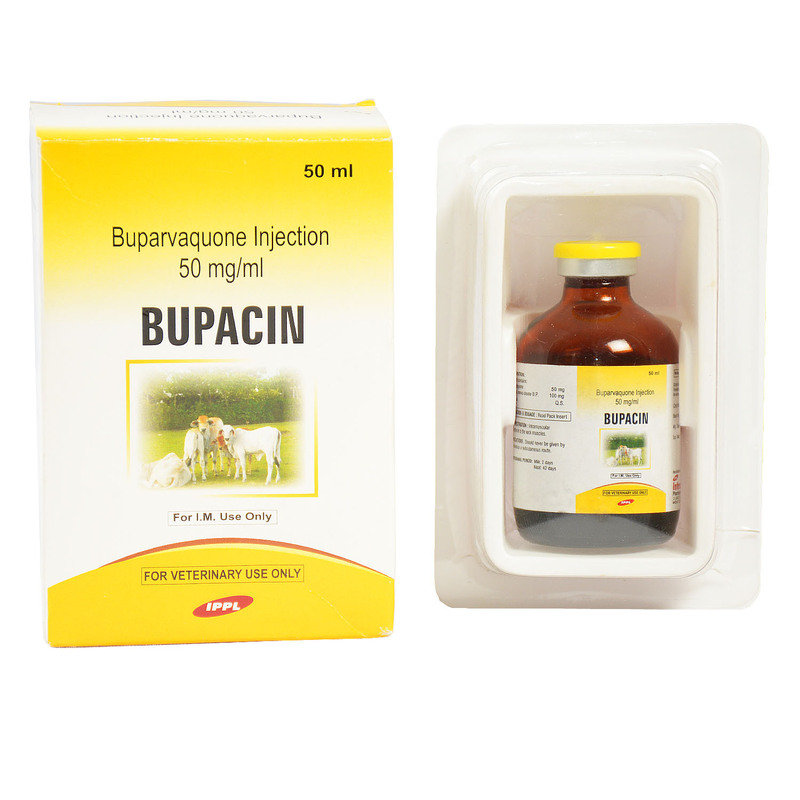 In addition, in hypo and avitaminosis, degenerative myopathy, dystrophy of the liver,rickets, osteomalacia, tetany, keratitis, night sight, sterility in females and convalescence. 1 Bolus two times in a day. 1 x 300 x 8 g Bolus .